Stories/Events | KR Acres – Hill City, MN | Where we love and treat your four legged family members as if they were one of our two legged family members. Where we love and treat your four legged family members as if they were one of our two legged family members. We passed and received the hardware. 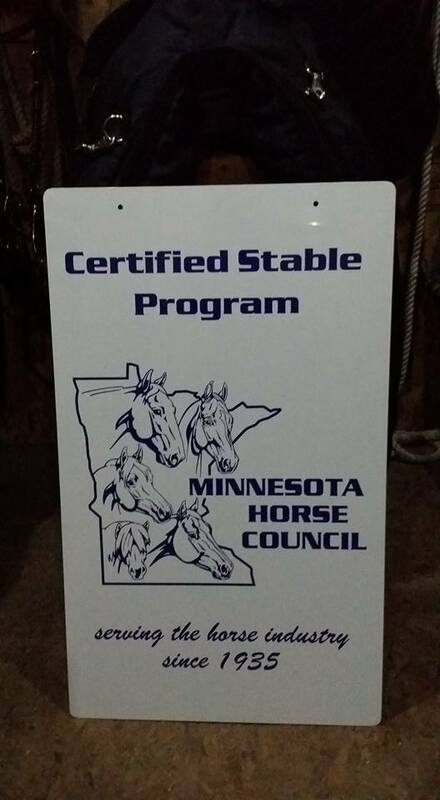 We are officially a certified stable through the MN Horse Council. Below is the requirements and process. A certified stable is concerned with the care of the horse and maintains the facility in order to meet the standards of the Certified Stable Program. The stable managers are proud of their facilities and are constantly seeking ways to improve helpful hints. KR Acres shared a post. KR Acres is feeling thankful at KR Acres. Mission accomplished! All 14 horses are snuggly tucked into the barn for the night...poor babies weren't in love with our weather any more than we are. Just happy to have all those extra blankets...warm and cozy is the theme for the night. May sunrise bring warmer temperatures and drier weather.